When you think of fall you think of pumpkin pies, pumpkin muffins, pumpkin spice lattes, pumpkin everything! When you think of winter the first thing that comes to mind is peppermint. Stores stock their shelves with peppermint candy canes and limited edition peppermint ice cream. Chick-fil-a brings out their famous peppermint chocolate chip milkshakes, and at some point during the holiday season you are bound to bite into a crunchy and delicious piece of peppermint bark. In the spirit of all things peppermint, we came up with our very own peppermint cupcakes! Last year around this time we were surfing pinterest for something new and creative when we stumbled upon this fabulous idea: Multicolored swirled frosting. Sounds difficult right? Well, it’s surprisingly easy! We took this idea and created the perfect topping to our mouthwatering cupcakes. We simply made some white frosting and lined a piping bag with 4 stripes of red gel food coloring. From here we added our frosting to the bag and the result was the perfect swirl of red and white! These cupcakes are simple and easy to make and can be dairy free if using dairy free milk. Our guests at holiday parties are especially fond of them and we hope you will be to! Beat sugar and eggs together on medium until light and fluffy. Gradually alternate dry mix and wet until all ingredients are incorporated being sure to scrape down bowl. Divide batter evenly into 12 cupcake liners and bake for approximately 18 minutes until toothpick inserted comes out clean. Cool on a wire rack while preparing frosting. Whip frosting ingredients on medium high speed until light and fluffy. If frosting is stiff, you may add a few drops of any milk of your choice. *Tip if you don’t have any decorating bags (you can get disposable ones from craft stores) you can use a gallon size ziplock bag and snip of one of the corners. De’Lure’ began while recovering from a three year illness that was finally diagnosed as celiac. I had left my corporate job to take a Summer off but was asked to help at a local café my husband and I frequented. That part-time position led into baking when the pastry chef moved out of town. Making these beautiful pastries and desserts was rewarding but could I not eat any of them. This gave me the idea to begin experimenting at home. The more I sampled to my family and friends, the more I wanted to make them available to the gluten free community. I shared this with my friend and manager at the café. She began sending me patrons who would come in asking for anything gluten free. My husband encouraged me to pursue going after my own clients. Eventually, I got the courage to ask our favorite gluten free Italian Restaurant if they would sample some of my creations. It was not long before they had three of my items on their menu. De’Lure products can now be found at several local establishments including that café where I began my new career and we have taken on two very talented bakers to help with all the private orders we also receive. I could not be happier and have never looked back! This recipe may not be difficult but there’s some effort to put it all together. I like to prep my sweet cream filling and cinnamon-sugar coating first before flattening bread slices. I also recommend microwaving gluten-free bread for 30 seconds or more because the extra warmth helps mimic the natural elasticity of gluten-full bread. 1. Blend cream cheese and half of the sugar. Transfer mixture into small pastry or plastic bag. Whisk eggs, milk and vanilla together in a second bowl and set aside. Combine remaining sugar with cinnamon in a third bowl. Wash and dry raspberries then quarter lengthwise. 2. Trim crusts off bread and flatten with rolling pin. Pipe 1/2” line of filling at the end at one end of bread slice and add a few pieces of raspberry. Carefully roll up and away from you then place seam side down on a plate. Repeat until finished. 3. Prep large frying pan with non-stick spray and heat on medium-high. Carefully coat rolls in egg mixture, one at a time, and place seam side down in pan. Cook in small batches on medium until golden brown. 4. Turn rolls until covered in cinnamon-sugar mix. Sprinkle little confectioner’s sugar and eat up! Hint: It’s totally not a crisis if you happen to mix up steps and coat rolls with cinnamon-sugar before putting them in the frying pan. Cooking will be a little messier but they will taste just as good! Want more everyday gluten-free tips and recipes? Visit sarahinthekitchen.com and join the conversation on facebook.com/sarahinthekitchen or tweet @anselblue. G-Free Laura Helps Us Make New Gluten-Free Holiday Memories! We all know that food is a very social thing in our society which is multiplied by like, a million, during the holiday season. Food is the staple at every holiday party, no matter what is specifically being celebrated. Each family has their own traditional dishes that they serve, and each family member adds their special touch to their signature dish. Tradition is something very important when it comes to the holidays. At my house, we always have my Uncle’s delicious ham, my Aunt’s cheesy potatoes, and approximately four different types of taco dips (we cut no corners when it comes to anything taco/nacho-related). Everyone expects a certain spread when it is time to visit the buffet, so what happens when all of a sudden you can’t enjoy this part of the holiday tradition? It can be very emotional, as silly as that may sound to some people. I know that all of us g-free folks understand how something as simple as a taco dip or cheesy potato can bring sadness. The point is, while food is something very important to tradition, it is also not the be all and end all. Remember the true meaning of the holidays – it doesn’t have to do with eating five helpings of everything on the table and washing it down with a Christmas cookie. Also, another good way to combat the food-induced holiday depression is to take matters into your own hands. If there’s a dish you really want, talk to the family member or friend that normally makes it and see if they can sub items for gluten-free alternatives. Or, do as I do and recreate my favorites with gluten-free options all on my own. For the past three years I have made a special gluten-free version of my grandma’s delicious meatballs so my mom and sister (both gluten free) could enjoy with me! Making new traditions is always fun as well. If you’ve never been big on making Christmas cookies and you just relied on others, now is your time to shine. You can start a new tradition by making your own batch of gluten-free cookies to share with your loved ones. You might find that it is actually rewarding! What are some tips that help you get through the holiday season gluten-free and happy? Share in the comments! Vegan Gluten-Free and Dairy Free Holiday Recipes by Gluten-Free Vegan Comfort Food! The holidays can be quite challenging for those of us who don’t eat gluten, dairy, or other foods traditional served on Thanksgiving. I don’t even eat turkey! I don’t offer to host Thanksgiving at my house anymore, instead I volunteer to bring side dishes, salads or desserts when I share the holiday with my family and friends. I love the recipe included here for roasted butternut squash and Brussels Sprouts. It is easy to make, delicious and these vegetables pair well with other common holiday foods. I also like the vegetable slaw, as it is not your traditional cole slaw, but rather, this one has apple, cabbage, carrots and Brussels sprouts. You can add onion too if you like! I am grateful for so many things, and not overeating during the holidays is tops on my list! The recipes provided here will fit in perfectly with any holiday meal and will leave you feeling good, but not gorged! Enjoy in great health and have a wonderful holiday! Cole slaw is a great dish to serve during the holidays. It pairs well with many holiday foods and is super easy to prepare. Preheat the oven to 350 degrees and prepare the vegetables. Drizzle 1 tbs. olive oil on a large rimmed baking sheet and then arrange the vegetables so they cover the pan. In a small bowl, whisk together 1 tbs. olive oil, the honey and seasonings. This mixture will be very thick. That’s ok. Drizzle it over the vegetables and then roast, turning once with a spatula during the roasting time until done, about 45-50 minutes. Vegetables should be browned and fork tender. Season with additional salt and pepper and serve. Makes enough for 4. Takes about an hour to prepare. Susan O’Brien is the author of Gluten Free, Sugar Free Cooking, The Gluten Free Vegan and Gluten Free Vegan Comfort Food. She is also a cooking instructor, Food coach and national medical education consultant. Susan loves to help others achieve optimum wellness by assisting clients in transitioning from a diet that doesn’t support their optimum health to one that does! Susan recently moved to Southern CA to be near her grandchildren and loves living in CA. You can reach her at susan@susanobrien.org if you wish to learn more about how she can help you learn to shop, cook and enjoy foods that truly support your well-being! Susan is also on Facebook at https://www.facebook.com/glutenfreevegancomfortfood. Allergies, Intolerances… and Braces – Preparing for Holiday Feasts and Celebrations! Talk about an added twist to my food allergy world! As homeroom mom for the past three years, I have it down to a science which foods are SAFE so that every egg, nut and dairy allergic kid can enjoy classroom celebrations. Yes, we STILL have food in our classrooms. Now BRACES? No popcorn? Chocolate? Gummy Worms? What? I literally laughed out loud when I was now asked to navigate this food challenge too! Here is my WISH for you this holiday season. That you can convince those closest to you, that with a little positive spirit and willingness to try out new ideas, we ALL can SAFELY share the holiday festivities! For those of us who are Rudi’s Bakery fans already, we know there are many product ideas available for all of us! Need gluten-free stuffing, bread or tortillas? Rudi’s Gluten-Free Bakery has you covered! Rudi’s Gluten-Free also has a wonderful pantry guide that you can print and or share with your family in preparation for the big holiday meals. Focus on what you CAN have! Want a pie? Whipped cream? Rolls? Stuffing? No matter what your limitations are, I can almost guarantee there is an alternative out there for you! You just haven’t discovered it yet! Daniella Knell, owner of Smart Allergy~Friendly Education. As a mom of 2 having 6 of the top 8 food allergens, she is actively involved in allergy awareness advocacy within her community. You can find her presenting motivational classes in local schools and hospitals, blogging and offering one-on-one consulting. Looking for allergy~friendly product ideas and positive inspiration? 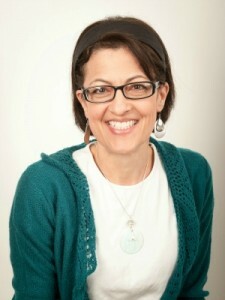 Be sure to follow her via, www.smartallergyallergyfriendlyeducation.com, Facebook, Linked In, Twitter or Pinterest. Rudi’s Recipe: Gluten-Free Reuben Sandwich without GMO’s! The Reuben Sandwich: a classic staple sandwich recipe that couldn’t be made gluten-free until now! Did you know Rudi’s Gluten-Free makes an excellent line of sandwich breads! It is made with “Only the Good Stuff,” meaning that GMO’s, additives, preservatives and high-fructose corn syrup are all ingredients that are left out of our small-batch recipes! Our Reuben Sandwich recipe is a little different from most in that we included sautéed red onion and green bell pepper. Most Reuben Sandwich recipes call for Russian or Thousand Island dressing, which anyone can easily make from scratch. However, if you’re pressed for time, you can use any store-bought Thousand Island dressing. Where to Buy Rudi’s Gluten-Free Stuffing + Our Secret Stuffing Recipe! We recently released our newest product, Gluten-Free Savory Herb Stuffing, just in time for the holiday season! We are very pleased to learn that our stuffing is receiving more attention than we anticipated and we are very thankful to you, our fans for creating an incredible buzz around our products! As a result, our stuffing is flying off the shelves at an accelerated rate and we are trying to keep those of you who have yet to get your hands on it the best “Where to Buy” information. Rudi’s Gluten-Free Stuffing will also be available in a select number of locally-owned natural food stores and we recommend asking your local natural food store manager if Rudi’s Gluten-Free Savory Herb Stuffing is available. 12 servings of Homemade Gluten-Free Stuffing with Rudi’s Gluten-Free Bread Recipe! Cupcakes and Kale Chips Features Rudi’s Gluten-Free Bread in Her Italian-Inspired BLT aka The PAT (Prosciutto, Arugula & Tomato Sandwiches)! Prepare the crispy prosciutto by preheat your oven to 350°F, place the prosciutto on a cooling rack which is set on top of a baking sheet, and bake for 6-8 minutes per side, or until crispy. Set aside on paper towels to drain. Alternatively, you could cook it in a pan on the stove top over medium low heat until crispy. Prepare the Creamy Balsamic Vinaigrette by combining all ingredients in a bowl or jar and shaking or whisking until combined and smooth. Adjust seasoning with salt and pepper. Assemble the sandwiches by first tossing together in a bowl the arugula, tomatoes, and Creamy Balsamic Vinaigrette, and seasoning with salt and pepper, if desired. Lightly toast two slices of your favorite Rudi’s Gluten Free Bread. Top one slice with the arugula mixture, layer on the prosciutto, and top with the second slice of bread. My name is Brianne, recipe developer and creator of Cupcakes & Kale Chips. I am a born and raised Jersey girl (I don’t know Snooki or the Real Housewives or anyone like them, never watched The Sopranos, love Bon Jovi, and yes, I used to have big hair), a former Chemical Engineer turned stay-at-home-mom to two adorable little boys , and a wannabe pastry chef with a wheat allergy and not enough willpower to to spend my days surrounded by flour, sugar, butter and chocolate. Somehow this all makes sense to me. I consider Cupcakes & Kale Chips a “love all, serve all” blog with recipes that truly reflect how I cook for my family, from healthy and easy weeknight meals and gluten-free snacks to indulgent entrees and over-the-top desserts. ”Cupcakes & Kale Chips” embodies my philosophy on balance, but it sounds cuter than my true favorites – Salads & Ice Cream! You can catch up with me on Facebook, Twitter, Instagram, Pinterest, and Google+. A Nut in a Nutshell’s Italian Sausage Stuffing Recipe is Gluten-Free with Rudi’s Gluten-Free Savory Herb Stuffing! Fry sausage in a frying pan until cooked thoroughly and crumbled. Set aside. Saute carrots for three minutes in olive oil on med to high heat. Add green pepper and continue for another three minutes. Add mushroom and onion and continue for two more minutes. Set aside. Prepare stuffing as instructed. Once complete, add all the fried ingredients to stuffing, mixing with a fork to maintain fluffiness. Place in a casserole dish and top with mozzarella cheese. Sprinkle grated Parmesan cheese on top. Bake covered in a 350 degree oven for 15 minutes. About A Nut in A Nutshell: I started blogging to fill my time when my baby went to college, and yes, I’m the mom of two kids in their early to mid-twenties, gasp! Fortunately, I was quite young when I started having kids, so I’ve got all kinds of life and goofiness left in me even though they’re gone. My roots are in the Midwest, but I moved to coastal North Carolina about two years ago. After college, I was working in the Travel & Tourism industry and loved it, but gave it up to stay home and raise my two kids. No regrets, of course! I love spending my time in the kitchen creating and tweaking recipes and trying out new kitchen tools and methods of preparation. When I’m not making something myself, I most definitely enjoy dining out and traveling. Experiencing new adventures is one of my greatest joys in life! And I’m so happy that through blogging and social media, I’ve been able to share my passion for lifestyle, food, travel, tech, entertainment and style with you! G-Free Laura’s Gluten-Free Savory Stuffing Recipe Features Rudi’s Gluten-Free Savory Herb Stuffing!